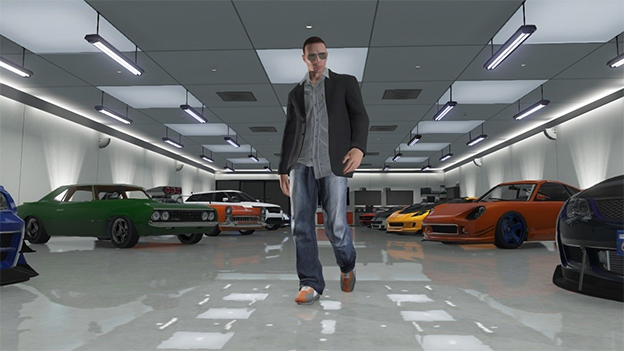 But, if you can get past these issues, GTA Online is quite an achievement. With a couple patches, Rockstar will be able to realize the vision that it clearly has for this game. So, instead of running through the content, I did what any self-respecting GTA player would do–embarked on my own personal campaign of carnage and destruction the likes of which Los Santos has never seen. Even though deathmatches and races weren’t working properly for me, I had plenty of fun hunting other players and having shootouts in any random location we might happen upon, then running from the cops while fighting off the onslaught of player-characters at the same time. In this respect, Grand Theft Auto Online functions flawlessly. 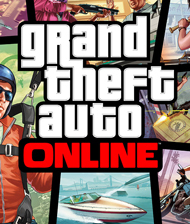 So, is Grand Theft Auto Online the end-all-be-all of online gaming? Not yet. Rockstar still has a long way to go to refine matchmaking systems, increase server stability, and streamline the user-interface for better ease-of-access. But the good news is that since Rockstar released GTA Online separately from GTA V, all of this is possible. The intention behind the online world of Los Santos was so that it could evolve and get better with time. It may not be the best online experience you will ever have right now, but I believe that it will continue to get better with time. Plus, it’s free with Grand Theft Auto V anyway, so there really isn’t anything to complain about. Of course, the sooner the better Rockstar. Just sayin’. The same as GTA V, but visual glitches are much more prevalent. Nothing changed here. The exact same tight control scheme of GTA V, with the same minor frustrations. Sounds just as good as GTA V.
A plethora of content plagued by a buggy release that can be ridiculously frustrating. All the classic hallmarks of the groundbreaking series return, including incredible attention to detail and Grand Theft Auto's darkly humorous take on modern culture, alongside a brand new and ambitious approach to open-world multiplayer. Our largest open world yet --by far--and spanning vastly diverse cultural and geographical areas, the entire world of Grand Theft Auto V is open from the very beginning of the game to explore. Visitors to the greater metropolis of Los Santos and the countryside of Blaine County will encounter faded celebrities, meth heads, party people, violent gangs, hikers, bikers and every other manner of colorful denizen. You'll be able to traverse everywhere from the tops of the mountains, through the streets of Los Santos and to the depths of the ocean floor.